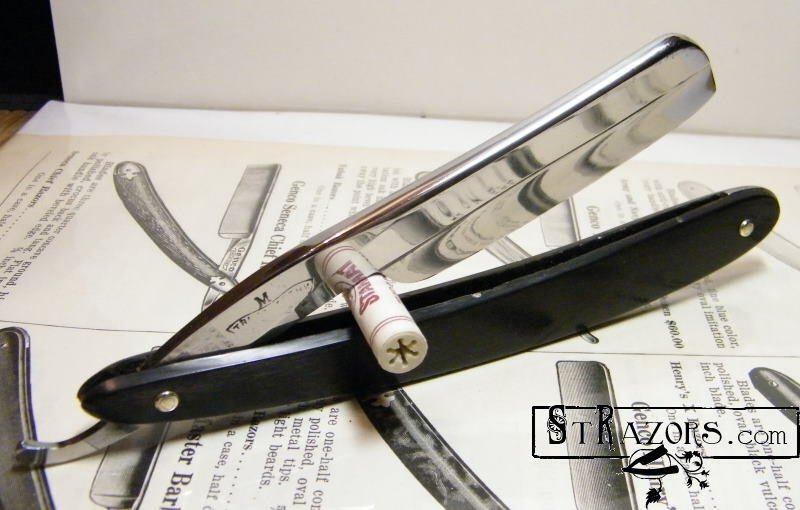 STRAZORS.com - all about classic razors - Mappin Brothers/Mappin & Webb, Sheffield. Mappin Brothers/Mappin & Webb, Sheffield. 1774 is usually stated as the launch year for this company, when Jonathan Mappin(1737-1801) established a workshop in Fargate. In 1775, he registered a silver mark as a plate worker in Fargate, and registered another mark with William Barrick at the same address. A directory of 1787 listed Jonathan as a maker of clasps and dog collars. Jonathan’s son was Joseph Mappin (1766-1841) – a Freeman of the Company of Cutlers in 1787 – who by 1800 was an engraver and copper plate printer in Fargate. His business, Joseph Mappin & Son, diversified into pearl buttons, spoons, and “dessert handles of finest quality”. In 1833, the company registered a Sheffield silver mark in Pepper Alley, though later the firm moved to No.42 Norfolk Street. Joseph Mappin married Hannah Newton (1765-1846) and they had two sons: John Newton Mappin (1800-1883) and Joseph Mappin (1794-1841). The first made a fortune in the brewing industry and later bequeathed to the town the Mappin Art Gallery. 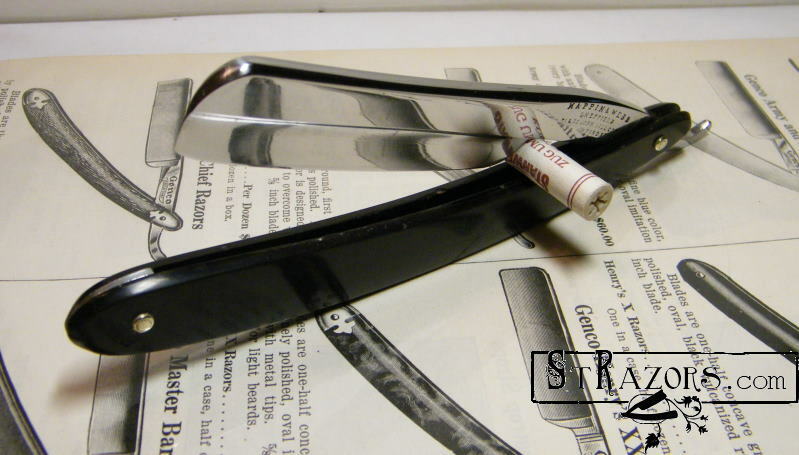 The other son joined George Arundel, a pen knife and razor manufacturer, who had been a partner in Robinson, Lamb & Arundel. This enterprise was launched in the late 1820s as Arundel & Mappin in Eyre Lane, manufacturing pen, spring, sport’s and table knives, and razors. The company’s corporate mark was the Sun (pic. ), which had been granted in 1810. Joseph Mappin had married Mary, the daughter of Thomas Thorpe, a Bedfordshire land agent and surveyor. On 16 May 1821, their first son, Frederick Thorpe Mappin, was born. Frederick - like many young apprentices - joined the family firm. He did so aged only fourteen, as George Arundel had retired through illness. This early experience was to prove timely, because Frederick's father died at Broomgrove on 14 September 1841, aged 47, from consumption. He was buried in Sheffield General Cemetery only about a fortnight after his father, who died at Leavey Greave on 25 August 1841. This left Frederick in charge of both the firm and three younger brothers (Edward, Joseph Charles, and John Newton). The company was known as Joseph Mappin, based at No. 32 Norfolk Street and Mulberry Street. It advertised in an 1839 Sheffield trade directory as a manufacturer of “Fine Cutlery”, including razors, pen, pocket, and sportsman's knives and table cutlery. Presumably, Frederick also had charge of Joseph Mappin & Son, which continued to be listed (as late as 1852) at its Norfolk Street address. In 1845, Mappin’s absorbed William Sansom & Co. and in the same year the company purchased a London shop. In 1848, Frederick registered a silver mark in Sheffield. In 1851, this expansion led to the opening of the Queen's Plate & Cutlery Works. Bounded by Baker's Hill, Flat Street and Little Pond Street, it was across the road from Rodgers' Norfolk Street Cutlery Works. (On the site of the old Mappin works stands the present Central Post Office.) The name “Joseph Mappin” was retained and the firm initially traded as Joseph Mappin & Brothers. It was soon known as simply Mappin Brothers. Mappin Bros reached a peak in the 1850s. It was appointed cutler to Queen Victoria. It acquired a London salesroom in 1856, allowing the firm to tap the wealthy metropolitan market. Frederick made sales trips to Europe and America, and agencies were also set up in Canada and Australia. In 1855, aged 34, he became the youngest Master Cutler. The company attracted the attention of industrial correspondents, such as James Burn (1858), who gave a detailed account of the firm and how it was intent on earning “an honourable name in the trade by producing first class goods”. When the youngest brother, J. Newton Mappin (1835-1913), became a partner, however, disputes apparently arose in the family. In 1859, Mappin Bros was dissolved. Frederick became a senior partner in Thos.Turton & Sons, the steelmakers of Sheaf Works fame (William Greaves), and then embarked upon a successful career as a Sheffield industrialist and politician. Sir Frederick (he was knighted in 1886) was one of the few Sheffield businessmen to become a Member of Parliament. 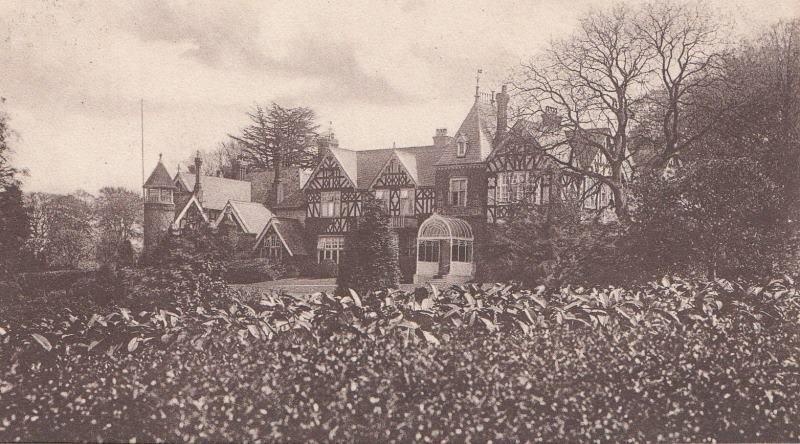 When he died on 19 March 1910, at his residence Thornbury, in Ranmoor, he left £931,000 – an unprecedented fortune for a Sheffield manufacturer. Meanwhile, in 1859 his brother John Newton launched a new electro-plate and cutlery business, Mappin & Co, at The Royal Cutlery Works in Pond Hill. The company registered a silver mark in the same year. J.N. Mappin apparently concentrated his attention on the metropolis. He lived at Heathfield Lodge, Clapham Park. Nearby lived the family of George Webb, who was a wine and spirit merchant. In 1860, J.N. Mappin married Webb's daughter, Ellen Elizabeth, at a Unitarian chapel in Brixton. He recruited Ellen's brother, George Webb Jun. (1833-1881), as a partner in the firm. In 1862, the company became Mappin & Webb, which recognized Webb's standing and also helped avoid confusion with its competitor Mappin Bros. The partnership flourished, particularly in London, where Mappin & Webb became a household name. In 1872, the architect John Belcher was commissioned to build a landmark Gothic-style London head-office for Mappin & Webb at Mansion House. Further silver marks were registered in 1864, 1876, 1882, 1892, and 1894. Mappin Bros continued to operate under the two remaining brothers, Edward and Joseph Charles. The firm was still producing fine-quality products, especially sport's knives, and it registered six silver marks at the Sheffield Assay Office between 1856 and 1894. In 1862, it won a medal at the London International Exhibition (1862) for “a large and excellent assortment of cutlery”. It featured again in industrial reportage by Dr Gustav Strauss (1864), which praised the establishment, but noted that Mappin Bros now only employed between 150 and 200. From the 1860s, the course was steadily downhill. Joseph Charles Mappin retired in 1873, when the partnership with his brother was dissolved. Edward died on 11 January 1875, aged 48, at his London residence, Wharncliffe House, King's Road, Clapham Park. Joseph Charles died, aged 74, at his residence in Brunswick Square, Brighton, on 14 August 1901. Joseph Charles Jun. was still involved in the business, but in 1883 he withdrew and left the running of the company to his former partners Charles Hickson and Frederick Crockford. By the end of the 1880s, Mappin's had been taken over by a Belfast jeweler. In 1899, Mappin Bros was bought by the London firm, Goldsmiths & Silversmiths Co.
George Webb died on 13 September 1881 at his residence in Downage, Hendon, near London. He left £117,000. However, the firm's development was uninterrupted. Herbert Linley Howlden (b.Sheffield 28 June 1855) joined the Sheffield business in 1873 and became a director in 1898. Later J.N. Mappin's sons joined the management. In the 1880s, Mappin & Webb expanded into the silver and luxury products market, particularly in London. It acquired Stephenson Smith & Son - a silversmith in Convent Garden - and also opened a workshop for bags and dressing cases at Winsley Works in Oxford Street (Culme, 1987). Additional shops were opened in London before the First World War, while abroad Mappin & Webb had outlets in Paris, Nice, and Johannesburg. The firm was particularly active in South America. In 1913, Mappin & Webb opened an outlet in Sao Paulo that has been described as Brazil's first department store. In 1892, the company acquired the Heeley Silver Rolling & Wire Mills Ltd to ensure that Mappin & Webb had adequate supplies of nickel silver. Also in 1892, a new showroom was opened in Sheffield, where Mappin & Webb occupied a large building (within walking distance of Mappin Bros) along Norfolk Street and directly opposite St Paul's Churchyard. The main entrance, supported by granite columns, was flanked by windows filled with the firm's productions. The vestibule was laid with mosaics of black and white marble, and mural decorations and furnishings of American walnut embellished the wide staircase that led up to the main offices. Inside the factory, silversmiths and platers laboured over silverware and electro-plate salvers, dish covers, entree dishes, carvers, dinner and dessert knives. The firm was also still producing fine sportsman's and hunting knives. 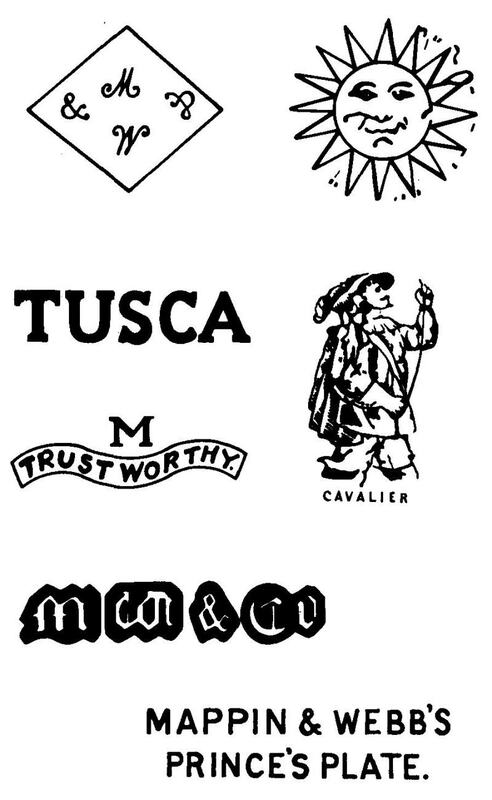 These products were stamped with the corporate mark “M” and “TRUSTWORTHY”. 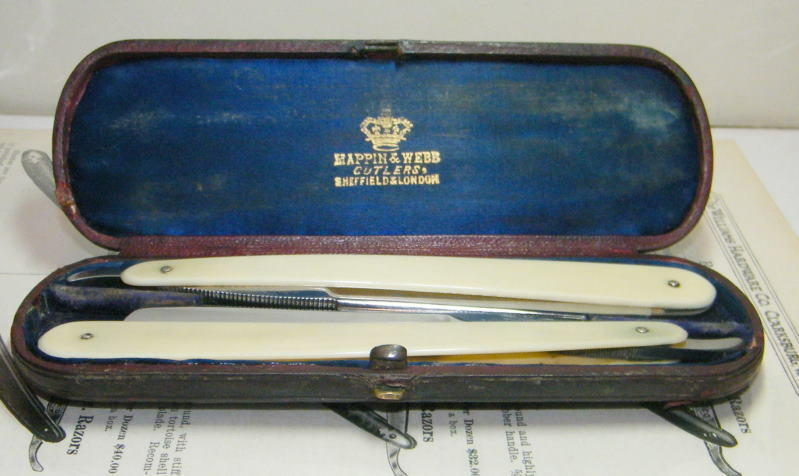 A limited liability company (registered in 1898), with a Royal Warrant (1896) and agencies around the world, the Royal Cutlery & Plate Works of Mappin & Webb had eclipsed the old Queen's Works. In 1902, J.N. 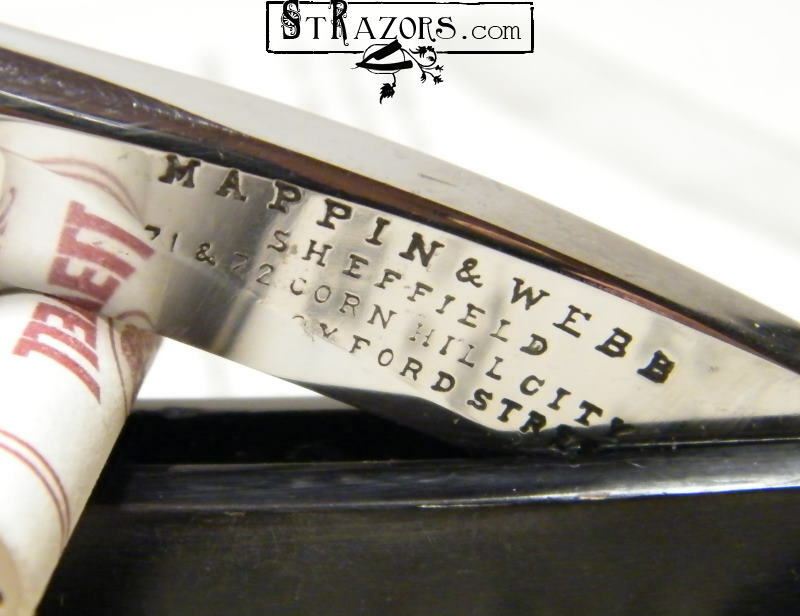 Mappin acquired Mappin Bros from the Goldsmiths & Silversmiths Co. The Baker’s Hill factory was vacated and soon demolished and the workforce of the two concerns was combined (it apparently had reached 600 by 1909). Newton Mappin, Headley Park, Epsom, died on 29 June 1913. In 1922, the company moved to the Royal Works in Queen's Road. It was a modern factory, but inside the entrance gates was a small group of hand-forgers and some lnives were still ground by hand (Mappin & Webb, 1922). The workforce was approaching a thousand. After the First World War, Mappin & Webb increasingly specialised in plated ware and luxury goods, with the Sheffield factory supplying London and international markets. When J. N. Mappin Fraser – the company chairman and the grandson of the founder - died in London on 12 November 1959, he was described as the last Mappin in the business. In 1961, the company had about 2,200 employees. In 1963, Mappin & Webb merged with Elkington and Walker & Hall to form British Silverware Ltd, though the old Sheffield premises were sold to C.J. Vander. The merger foundered and in 1971 Mappin & Webb's factory in Sheffield was closed. In 1994, its landmark Victorian building in London was demolished (amidst much protest) and was replaced by an office block that Prince Charles has described as resembling a “1930s wireless”. The Mappin & Webb name has survived, however, on luxury jewellery and silverware. After several changes of ownership, the assets were bought by the Icelandic conglomerate Baugur. When that company filed for bankruptcy in 2010, the Mappin & Webb brand passed to Aurum Holdings.